Did you know that earlier this year a NSW Civil and Administrative Tribunal (NCAT) Member ruled it was harsh, unconscionable and oppressive to have a by-law banning animals? Now, admittedly, this decision was made at the lowest level of NCAT, which means it doesn’t create a legal precedent. However, it could be influential on the thinking of owners corporations, strata committees, owners, renters and even Fair Trading. We were alerted to this latest bizarre and potentially divisive NCAT ruling by Anna Minassian and James Moir at Madison Marcus lawyers. The similarly low-level but potentially contentious decision on pets will doubtless see desperate pet owners dragging their owners corporations to NCAT, claiming their no-animal by-laws are invalid. So how did this come about? It seems in 2009, an owners corporation in Sydney changed its by-laws from the standard one allowing animals with consent (which could not be unreasonably withheld) to a new rule prohibiting the keeping of all pets except assistance animals. 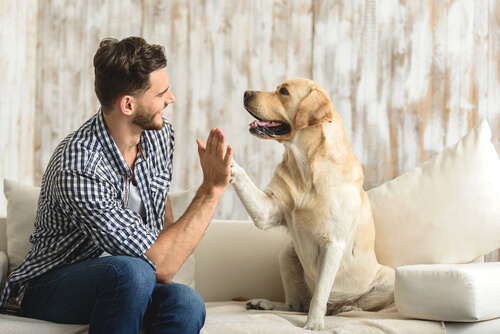 Last year, a prospective owner inspected a unit in the scheme with the intention of purchasing and bringing his rescue dog, adopted five years earlier, with him. However, the by-laws on display in the building at the time still included the earlier pets by-law, which allowed animals with consent. The pre-purchase strata report also wrongly listed the old, repealed pet by-law. Relying on the by-laws on display and the strata report, the dog-owner purchased the unit and moved in with his wife and adopted dog, Baxter. He then applied to the committee for approval to keep his dog under the mistaken belief that the by-laws allowed for the keeping of dogs subject to approval. The application was inevitably rejected by the committee and a copy of the updated by-law was provided to Baxter’s dad. (c) oppressive as it didn’t consider the rights and needs of all lot owners. “Unsurprisingly, Madison Marcus do not agree with the decision,” say Minassian and Moir in a press release. “However, as it was not appealed, we do not have the Appeal Panel’s view. section 139(5) says a by-law has no effect to the extent it prohibits or restricts assistance animals. This suggests other animals CAN be prohibited or restricted, or the section would have no point. “no pet” by-laws were an option specifically allowed by the legislation. Permitting no pet by-laws is not inconsistent with the 2nd reading speech. The correct no pet by-law is publicly disclosed (by virtue of being registered), and would have been listed in the contract for sale. “The inaccurate by-laws obtained by the strata searchers show the importance of having an accurate consolidated set of by-laws,” say Minassian and Moir. Now, if this ruling was ever challenged, or someone used it as the basis for a claim at NCAT, there’s every chance it would be overturned. But in the meantime, it offers false hope to people who want pets in “no-pet” schemes and could create unnecessary angst in the community. How seriously would people take it? Earlier this year Fair Trading was trumpeting a decision made at a similar level of NCAT that said you couldn’t have by-laws banning short-term holiday rentals. This was promoted as holy writ by Fair Trading and quickly and, despite a cavalcade of strata lawyers lining up to point out it was nonsense, was often repeated by the government’s mates at Airbnb and Stayz. 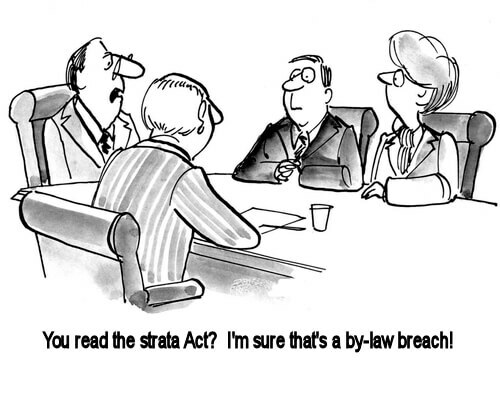 It was as if a whole new chapter of strata law had been written and etched in stone, thanks to one minor ruling by a minor adjudicator in a very specific case. But when the Government, on the point of sweeping away all restrictions on holiday letting in apartments, realised they were facing an uprising in their own ranks, this formerly rock-solid NCAT ruling was quietly forgotten, as it should have been in the first place. On a general note, the pet by-law ruling smacks of the bad old days of the CTTT – the precursor of NCAT – when Members and adjudicators were merrily making it up as they went along, ignoring the substance and spirit of the law and creating havoc in strata schemes across the state. I suppose it was too much to hope that anything would change. For more information on this case, contact Madisson Marcus lawyers who, by the way, point out that their report was authored by a dog lover.